Not just your pet's problem but also yours! Domestic pests are quite a common problem for most homes in Melbourne. Cockroaches, ants, rodents, termites, wasps, there's a host of them that you may be familiar with. 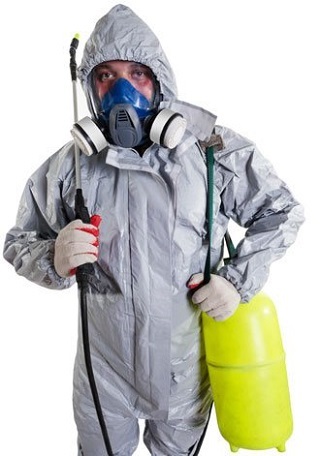 They damage your home, furniture and also invade on the hygiene levels of your home. When it comes to 'fleas' in particular, most of us might assign them as problems to our pets. But don't be so quick to dismiss them - did you know that they could attack you and your loved ones just as well? This is why you need a professional to look into the matter – for control and prevention. At Protech Pest Control, we are devoted to making your home pest-free and that includes making it free of fleas as well. Our certified team searches your premises to look for possible places where a flea might hide. Wondering why you need us to tackle the problem? With the benefit of our expertise and knowledge we also hunt down possible eggs, adult fleas and treat your home. We thoroughly treat your home through eco-friendly and pet friendly solutions. In the mean time here are a few things you need to know about fleas. We know they're tiny but what does a flea look like? Being very tiny in size and quick in movement it can be difficult to figure out whether what you're looking at is a flea after all. Adult fleas measure to be about 2.5 mm long. Being brown to reddish in colour with a shine on their body, they can be easily confused to be a regular bug. They are wingless yet cover large distances by their ability to jump. Oh yes! Host to host, point A to point B, they cover the area before you even know it! 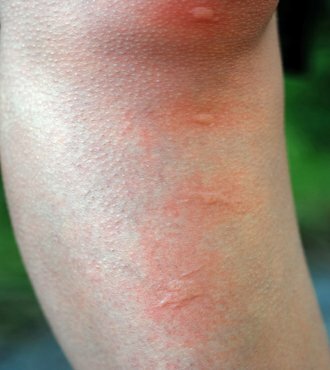 Fleas typically can be classified as adult and larvae. While we commonly think they only feed on blood from pets or humans, this is only true in the case of adult fleas. Larvae feed on debris and the faeces of adult fleas, which consist of undigested blood. 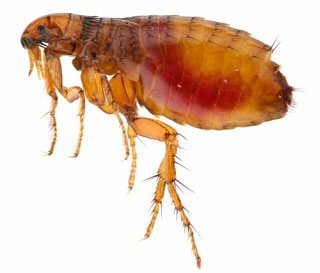 With regard to their habitat, fleas usually spend the most amount of time on the human or pet's body, drawing as much blood as they can. However, they return to their nest, which may be in cracks crevices, upholstery, furniture or even the host's bedding. They feed on the blood of mammals and humans. Although the same pest, a flea infestation is really to be tackled in two parts. One is an adult flea infestation, which you only realise once you actually see them jumping around near you or on your pet's body. This 'jumping flea activity' is triggered with the vibration of the host's movement, which excites the fleas and gets them ready to feed on their hosts. Secondly a larvae/egg/pupae infestation is much more difficult to gain control over as they are difficult to spot. What's more the larvae, egg, pupae are hidden in upholstery, bedding, under furniture, cracks, crevices, etc, making it even more difficult to hunt down. Before you know it these eggs, larvae, pupae get transferred all around the house once they latch onto a pets body and then the pet transfers them onto areas it walks or lays down on. Ticks can bring on grave diseases in humans and pets! Mycoplasma haemofelisis a disease where the body starts destroying the red blood cells, resulting in anaemia. Murine Typhus brings on a fever, headache, nausea, body aches, finally resulting in a rash that starts from the trunk of the body and moves upwards. Like most other problems there are DIY solutions and sprays to rid your home of a flea infestation. However, these do not take care of the matter entirely. In addition to contacting an exterminator you will need to treat your pet for fleas with the help of over-the-counter products. Wash all fabric that your pet comes in contact with, in boiling hot water. The hot water will kill any eggs and adult fleas hiding out there. 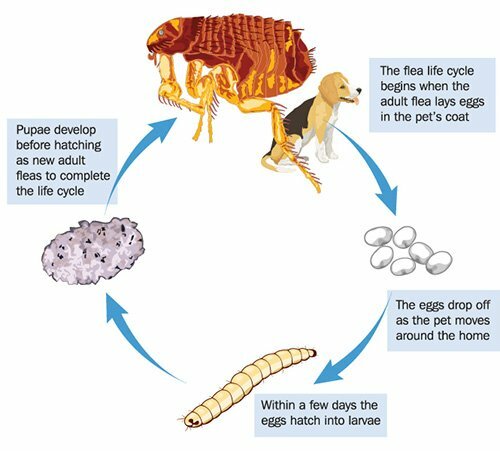 Once you contact us we treat your home with chemical treatments that not only target the adult flea population but also the eggs, preventing them from surfacing as a problem later on. And not just that we also make use of an insect growth regulator which helps keep tab on any eggs that might hatch and create havoc again. We ensure that treatments do not harm the environment or the wellbeing of your pets and children. Once the initial treatment is over we also visit for a follow-up to make sure that you are still enjoying the heavenly comfort of your home. Are they fully accredited and licensed to carry out flea control services from the Victorian government? Do they make use of the most up-to- date, non-destructive technology for flea control? Finally, do they guarantee their work of getting rid of fleas and ensuring they do not return? Can they ensure you, your loved ones and the environment's safety by offering natural and biodegradable treatments for getting rid of fleas in your home?